The association between the objects is established in the query itself. No database relation between tables is created. Rather, the keys and value field you select when you add the association, are added as columns to the primary UACT table. The associated data source is read-only, which means that you do not write to that table, you only retrieve values. 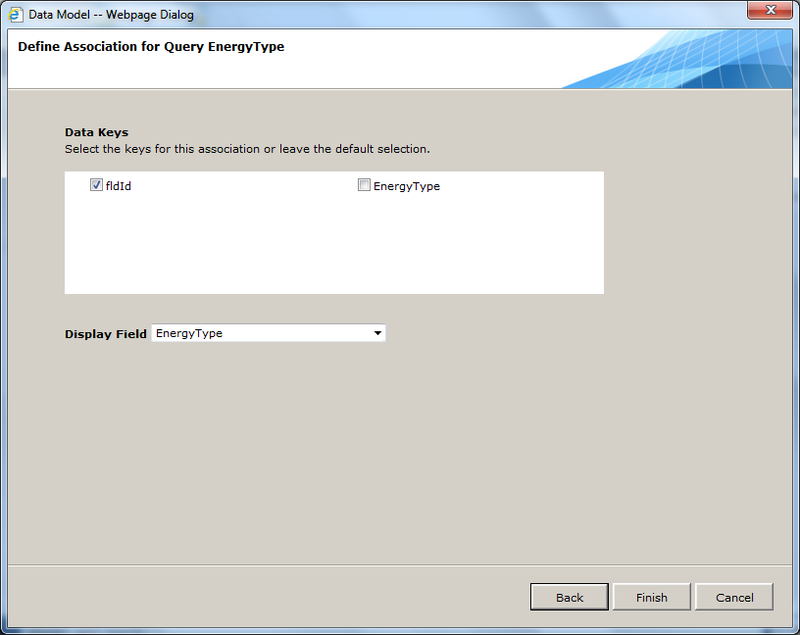 Data Keys: select the key(s) for the association or leave the default selection. Display Field: select the display field. This defines which field will be displayed in Flowtime forms.